If there are two things that you can never be prepared about, it is Twins! 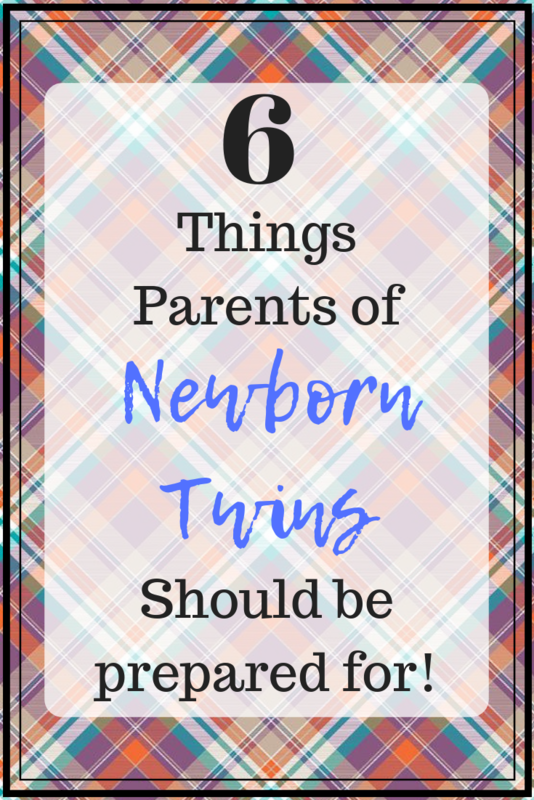 No matter what you plan, or how much you want to ‘be ready’, you can never be enough prepared to manage twins. My initial time after delivering twins was very difficult, more so because there is very limited literature, help or even experience related to birthing, feeding and raising twins. Compiling here today is a list of things that I wish someone told me about before the twins arrived in this world. By now, if you have been a mother even once, you know that among the first things that happen as a mom, is utter confusion. The baby is born but you have absolutely no clue what to do with it. That, paired with a lot of their medication, visiting friends and relatives and what not – create so much of chaos and confusion in your mind that it is unbelievable. In the initial 2-3 days when you are in the hospital, you will still have helping nurses. But when you get back home and the twins must be managed completely by you, it is crazy! it makes you overwhelming and scary and does take quite a bit of time to settle. With new born twins that poop, pee and spill a lot, especially born in the winter season, you will end up washing way too many clothes than you can count. Deal with it, it happens. There is just no way that you can anyway be prepared about giving medicines. Giving medicines to new born twins can be one of the most difficult yet underestimated issues. As a mom of twins, I often used to sit down and cry because even doing a simple task as this seemed difficult and unmanageable. Hang in their mommy, it is happening with all moms! No matter what kind of diapers, nappies or underwear you are using for your new born twins, initially they pee and poo so much that you change about 6-8 pieces per child per day. At one point in time it will seem like you just don’t have enough time to deal with the needs of each child. Having someone to help is essential, but even if you cannot find any help, just don’t doubt yourself. The feeding session of the twins can be one of the most overwhelming experiences of new born twins. Are they hungry? Are they sleepy? or May be they are tired? Do they have an earache? A stomach ache? Is their clothing bothering them? Is the diaper full? some other issue that I can’t identify? It is crazy how much little twins cry. It’s like they cry and cry and cry and they’re very few moments when they are quiet and playful. Ideally one thinks that if they cry, you feed them, and things get sorted but that’s never the case with the twins! It is even more difficult if you are feeding them formula. Always having formula in stock, having boiled water in stock, constant deep cleaning if every micro-centimeter of their feeding bottles, having to check temperatures, making formula, discarding the left over immediately, there are just so sooo many steps to it! Add to it the constant mandate of washing hands. Try to steal a few moments for yourself through the day and do things you like, even if it means taking a nap. Your children and you deserve a happier, saner version of you. Initial few months keep the mom occupied and everything appears hazy, clouded, and moms often feel like they have become “stupid” or “careless” or forgetful. It is a common phenomenon and about 6 months to 12 months later, things will clear up and you will be back to your chirpy self soon! The feeling of stupidity is not permanent. It is probable that the twins may get unwell and managing them may become even more tedious. Just take one day at a time. It is not like you can “give it up”. Go slow and do not keep too many expectations. Babies take time to get over their issues as simple as cold and flu. with twins, it is possible that relapses of their illnesses may occur but be patient and try to stick to their medicine schedules as much as possible. Use schedulers, alarms, planners – whatever it takes to keep a note of things. You can download applications in your phone or you can have notebooks that help you take down things. note down things like which one was fed and when, what medicine was administered at what time, when did they sleep, when did they wake, and any other details that need to be remembered. the last thing you should do at such a time is to rely on your memory and ability to memorize such details. you are most likely to forget them and hence, making notes, and keeping reminders can help you sail through better. If your twins are identical, or if you feel you are getting confused between the two very often, put on very distinctive clothes on them. Instead of matching colours or matching clothes, put really contrasting outfits on them. For example, instead of a red and pink, do a navy blue and red, or a green and orange match of outfits. SO, you clearly remember who was picked up and fed/bathed, etc the last time. Seek help. Seek help from a professional if you feel sad or overwhelmed. Get help and tips from fellow moms and communities who can often help you find other twin moms, mostly the ones whose twins are older than yours, so they can help you sail through it. Also seek help for house chores, whether by family or hired help. You will need helping hands to take care of the babies and of the household. Do whatever it takes to remain happy. A happy mother heals sooner and tends to raise happier children. I truly hope that these tips help you sail through the journey of parenting twins. It is an overwhelming experience but there’s nothing a Mom cannot do!! If you liked this article or know a Mom of twins who could use these tips, SHARE this ahead. Am an expecting mum. Loved your blog.